Since 1973, Rogers & Andrews Orthodontics has been instrumental in giving handmade smile to over 15,000 patients in Augusta and beyond! We are fast approaching our fifty-year anniversary as an Augusta orthodontist, which we will certainly have to celebrate in fashion. 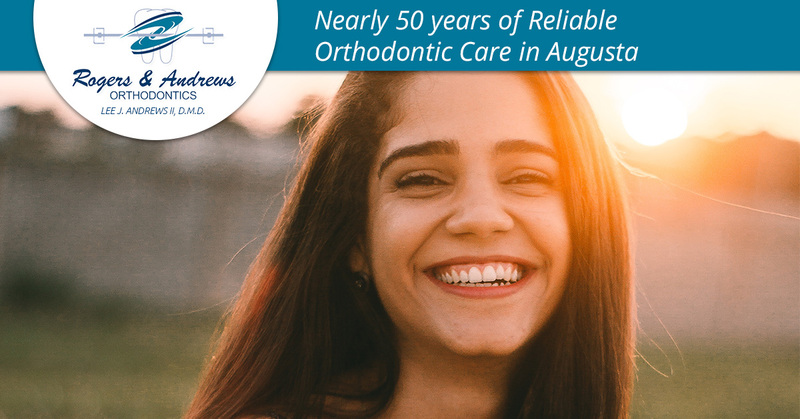 But seeing as how this is our 45th year providing Augusta and Thompson with orthodontic services, we figured it would be a worthwhile activity to sit back and take account of some major historical events that have taken place since the year 1973. A whole lot has changed since then, but one thing that has remained the same is our commitment to providing reliable orthodontic treatment. In 1975, The Vietnam War ended! The United States celebrated 200 years as a nation in 1976! In 1987, the world’s population increases to 5 billion strong! The Cold War ends in 1990, as East and West Germany are reunited! President Barack Obama is elected as the first African American president of the United States in 2008. Facebook, Twitter, and the world of mobile devices and social media takes place, for better or for worse! So much has happened that we are only skimming the surface when it comes to world events since 1973. But in truth, we are not historians; we are providers of orthodontic care. We just wanted to point out that being in business for almost a half-century is something we are proud of because it points to the fact that we are a local orthodontist that treats our patients the right way. If we weren’t, there’s a safe bet we wouldn’t be around anymore! From Dr. Andrews and the rest of our staff, we are committed to making sure each patient who receives treatment achieves the most radiant and healthy smile they’ve ever had. We combine our wealth of experience with innovative technology and equipment to ensure our patients receive the best orthodontic care available. The finishing touch is our dedication to personal care. You aren’t just a patient when you walk through our doors; you are a person with unique needs and goals. In our next post, we’ll take the opportunity to highlight the various orthodontic treatments we offer here at Rogers & Andrews Orthodontics, so be sure you keep an eye out for that post in the near future. Whether you are in need of adult braces, you need to find a child orthodontist, or the extent of your research thus far has been typing “orthodontist near me” into your smartphone’s search engine, we just might be the Augusta orthodontist for you. Schedule your appointment with us today!